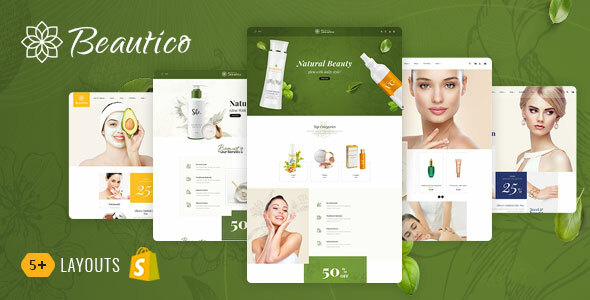 Beautico Shopify Responsive Theme is specialized for Beautico, Cosmetics, Bio, Herbal, Natural, Ayurveda, Hair, Care, Health, Jewelry, Barber, Beauty, Women, Accessories and multi purpose store. Beautico Layouts are looking good with its colors combination and included 6+ different Layouts. It is very clean and looks professional.